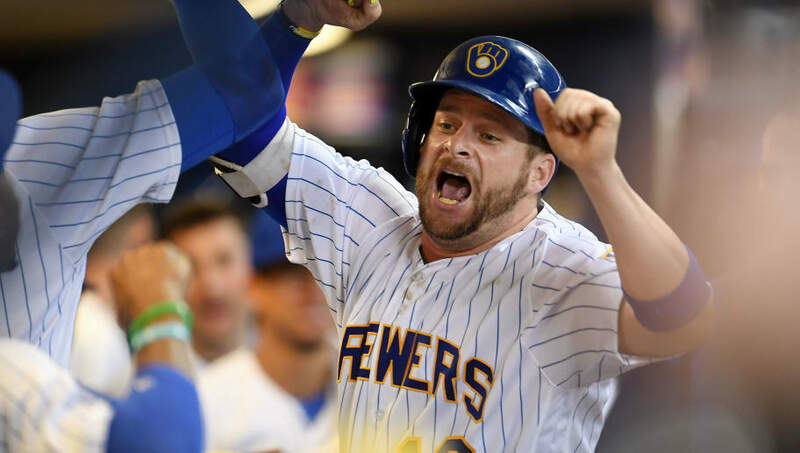 ​We're not sure any MLB player deserves a bounce-back campaign more than the ever-lovable Stephen Vogt. The burly catcher who knows how to get barrel on ball has reportedly agreed to a minor-league deal with the San Francisco Giants. Free agent catcher Stephen Vogt has agreed to a minor league contract with the Giants and is en route to spring training in Scottsdale. He had right shoulder surgery last May, but feels as great as ever. Not yet throwing from the crouch. ​​The fact that ​Vogt isn't throwing yet remains concerning, especially if he's joining an NL team with no hope of finding a DH role for him. But the bat will play, and he's got several months to get into game shape. Prior to succumbing to his shoulder issues in May 2018, Vogt was a two-time All-Star and beloved clubhouse figure across the Bay in Oakland. ​He was DFA'd, then picked up by the Brew Crew in the summer of 2017, posting a .254 average with eight dingers in the second half. For the type of hitter he is, it's sort of stunning that Vogt isn't more patient, and he'll rarely deliver a high OBP. But the man can slug and liven up a clubhouse, and you couldn't do much better for a backup catcher, if he's able to go.